Weight Watchers is one of the more famous weight-loss programs, but what exactly is it? Well, it works on the philosophy that most harsh diet plans are doomed to fail because they require immediate, drastic change that many people cannot commit to for the long term. Instead of imposing abrupt changes and forbidding certain foods, Weight Watchers helps participants really think about what they’re eating and control their portion sizes to keep the amount of calories they eat lower than the amount of calories they use. Right now, there are two ways to participate in Weight Watchers. You can either sign up for an online membership, or you can attend local group meetings. We’ll be discussing the pros and cons of the Weight Watchers online, as well as of the program as a whole. 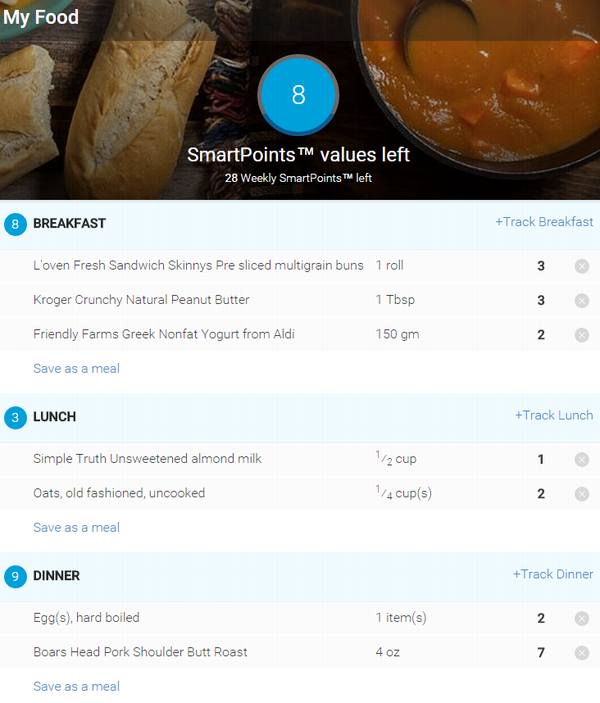 If you’re a techie constantly on the go, you can use the online version to easily keep track of your meals and your progress. Signing up for Weight Watchers OnlinePlus is a simple process. When you go to the Weight Watchers site, there is a button right on the front page that will take you to the online sign-up process. 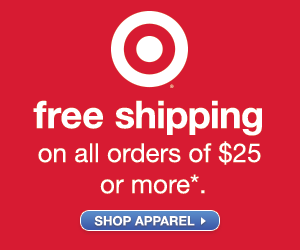 There is a sign-up fee of $29 as well as a monthly fee around $18. You can get it for less using our deals. For this fee, you get the use of several different apps and gadgets that will help you manage everything from your calorie intake to your exercise routine, as well as access to the points system and your custom starting point. Weight Watchers provides a personal support. You can chat 24/7 online with mentors. In addition to the apps and online tools will help with the process of calculating your points, you will have the online only support to help you stay on track with your weight loss. After that you can use community forum and ask any questions you can possible think of. This forum is very active; members are very friendly and supportive. How Weight Watchers OnlinePlus Program Works? Weight Watchers uses a point system to create a customized starting point for each individual base on your gender, age, high and weight, so you’ll be gradually decreasing your portion size, rather than suddenly eating an amount that feels like you’re starving yourself. You can gain back points by exercising, as well! 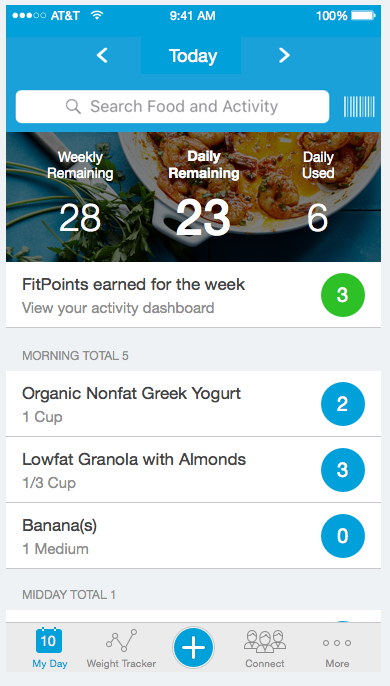 The system will create a weight loss goal for you (and you can change it anytime) and assign daily and weekly points you can use for a PointsPlus Tracker. The weekly points are the extra points you can use by spreading daily or use it once a week all together. For example, if you will be going to a party or other events. You can track your activity with the Activity Tracker. If you will use the “Weekly Points”, you can use the “Activity Earned” ones. The Weight Watchers website is fully loaded with resources and information. You will have access to links with answers to any of your possible questions, plus recipes, FAQ’s, tracking and learning tools, and much more. How Much Weight You Should Expect to Lose? If you’re using a PointsPlus Tracker accurately, you should expect to lose on average 1/2-2lbs a week. Personally, I’ve lost easily 4 lbs in my 1st week and 3 lbs in the second (had to go to a restaurant for my anniversary). But everyone is different. Some people lose more, some less. Consistency and accuracy is a success key here. Besides, by tracking points for food and drinks, you will learn about nutrition value and what to eat in the future. After you will reach your weight goal, you can set up a new one or use the maintenance mode. This will add you some points daily and help to stay on track and to not gain it back. Maintaining weight requires the same mindful habits you followed to lose weight, but it’s more fun than being overweight. Eat any food you like (just watch your portion). This makes Weight Watchers a big winner to compare to the other diets. You know how it usually works – you’ll always crave a forbidden food. Your family will not notice the difference; you don’t have to cook separately for yourself when on Weight Watchers. Easy to set up a profile and navigate the website. It took me around 1 hour for the very first time to set up everything and figure out how it works and what to do. Now, I am spending 5 min each day to create my menu for the day. Use your computer or a smartphone. Save your time. You don’t have to go to meetings and talk to anyone. With a busy working schedule, between homework and kids’ sports, who wants and has time to drive somewhere else? With these saved hours, you can browse the Weight Watchers website and learn pretty much everything about weight loss. The price. For under $20 per month, you’re losing weight and learning about nutrition. 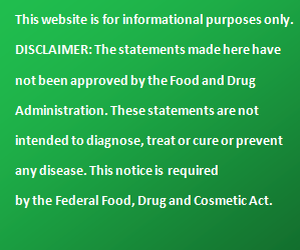 The nutritionists’ visits are usually not covered by health insurance and cost around $150 per visit. And you will need plenty of them. This can be great for someone who is independent and goal-oriented. If you’re not a very organized person, this might not work for you. If you like person-to-person contact, you may consider the meetings option. 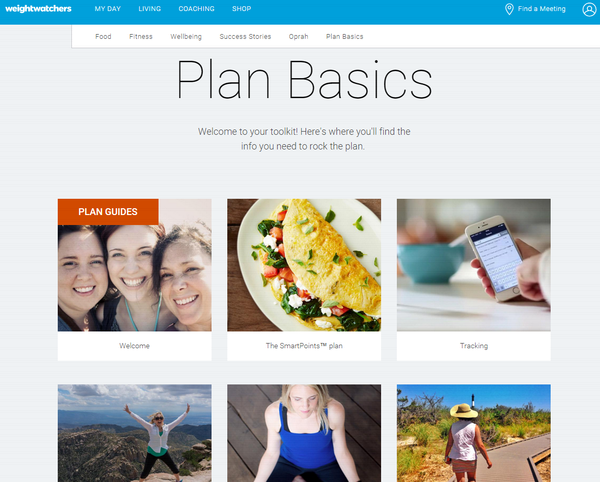 Weight Watchers Online is much cheaper than the classic meeting format, but it is also a little bit difficult for people who don’t use a computer or smartphone. 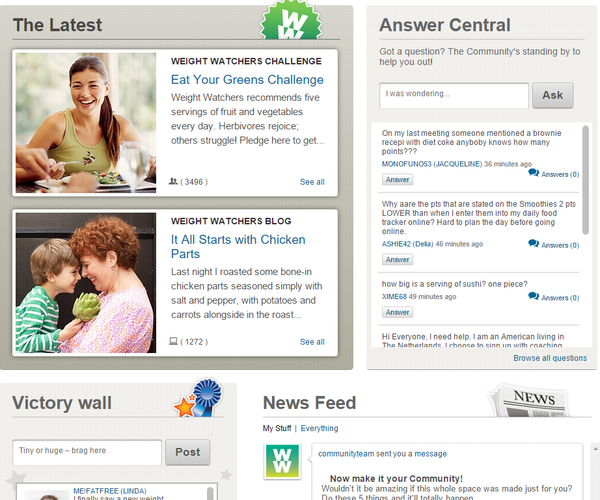 There are some questions Weight Watchers members are asking on the community forum. This is also called the weight loss plateau. There are many tips I’ve learned from different people and tried myself. Some suggest decreasing the amount of food you eat and increasing exercising. Boring, right? I love this advice, and it works for me: take 1-2 days off from your diet. Eat your favorite food, and then go back to Weight Watchers. What happens is, after a certain period of time where you have been on a diet, your metabolism adjusts to a lower calorie intake and slows down too. You need to wake it up. Some European experts suggest doing it once per 7-10 days. I hope this helps those of you who are worried about this question. I have WW online. Can I go to where they have meetings and purchase products? If you joined as an Online subscriber (about $18/month) meetings are NOT included. If you purchased a Monthly Pass (about $43/month) both meetings and eTools are included. You can buy the Monthly Pass online to combine both meetings and eTools. I currently am a Monthly Pass subscriber. I want to switch to WW online. I switched to Etools, but that is not the same thing, is it? I do not see an option to switch to online only. Can someone direct me? There is no option for you to switch from Monthly Pass to a full Online subscription directly by yourself. You need to cancel Monthly Pass, then sign up for Online. How do you cancel a mambership with the Weight Watchers OnlinePlus? You can cancel at any time. Go to Account Settings in the upper right. Click on “account status”. On the upper right side you’ll find the “Get Help” window. Click on “cancel account” and confirm. Make sure you receive a confirmation email and keep the email until you confirm you are no longer being charged. Another option is to call customer service at 1-800-651-6000. Conclusion: You can afford the money (and, in the case of the meetings, the time) to take part in Weight Watchers, it is a great alternative to drastic diet plans. You’ll lose weight at your own pace and without having to completely give up the foods you love most. If you’re looking to lose weight, due to health issues or just to feel better, you should definitely give Weight Watchers a try! Although the program was originally targeted at women, they now have tools that address the way men lose weight too, so anyone can benefit from the program.